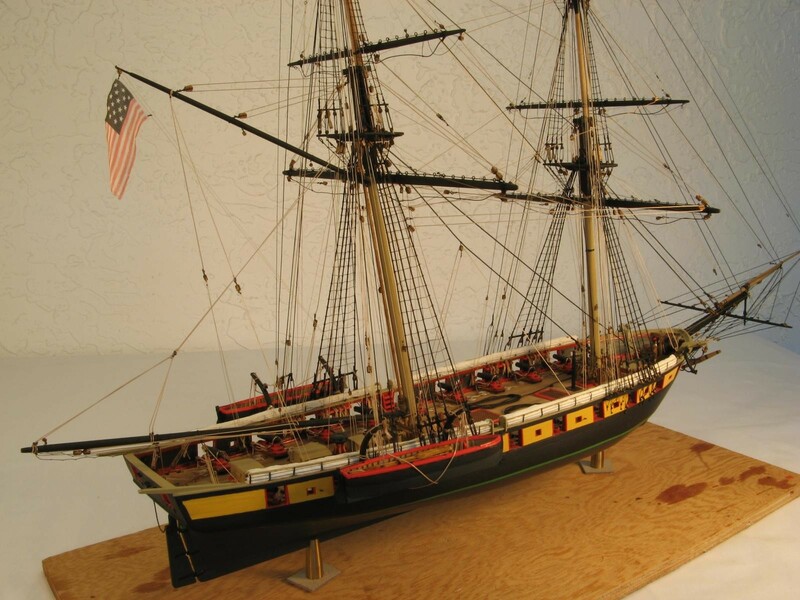 I’d like to present my Model Shipways, Brig Niagara I completed about 10 years ago. The model is a completely wood, (and metal fittings) plank on frame design, that took me approximately 3years to complete. 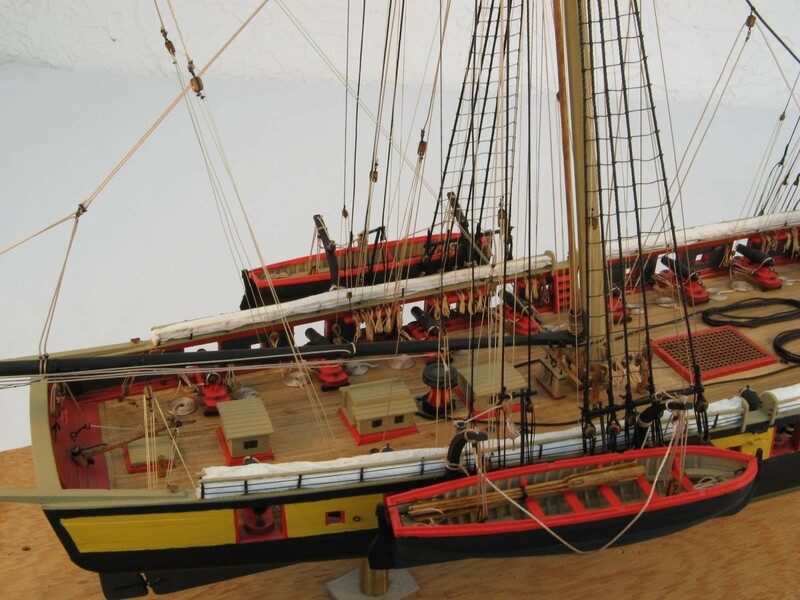 A number of years back I decided that any ship I model I’d like to board/sail on and vice-versa. 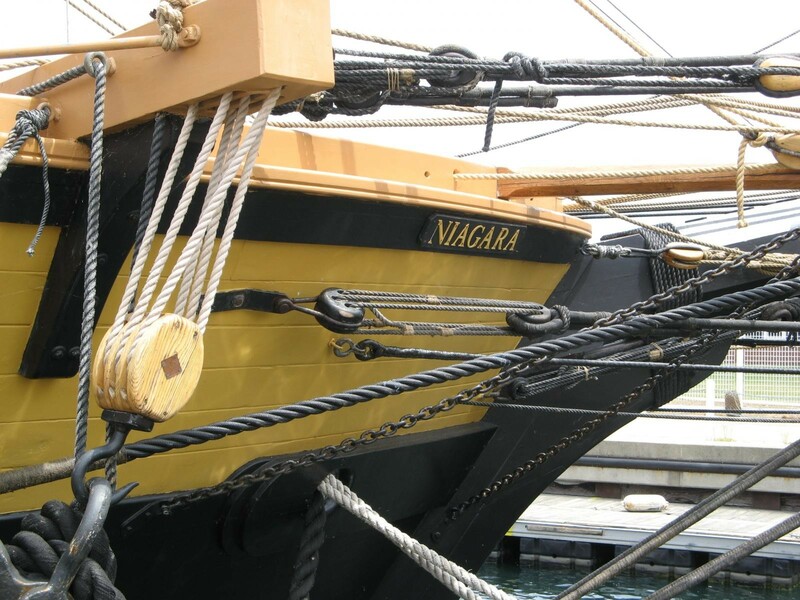 So after completing the kit my wife and I sailed on the reproduction Niagara, docked in Erie, PA, near where Oliver Hazard Perry did battle on the Niagara during the Battle of Lake Erie in the the US war of 1812. A great experience and we hope to do it again sometime in the future. Hope you enjoy. Happy modeling fellow iModelers! Nice job. Good looking build. I started Caldercrafts H.M.S Snake years ago and never got round to finishing it. Maybe one day. Traditional ship modeling with rigging an everything. Hat off to you, for embarking on and finishing a project like this. It’d take ME that long just for the rigging! Wonderful work! Beautiful. Love the photos of the reproduction, which demonstrates how realistic the model is. Anybody who can do one of these has my total respect. There’s what I do, and there’s stuff like this. A completely different level. It’s difficult for me to adequately articulate my praise for this kind of work. Simply amazing. marvelous ship, amazing job, congrats. 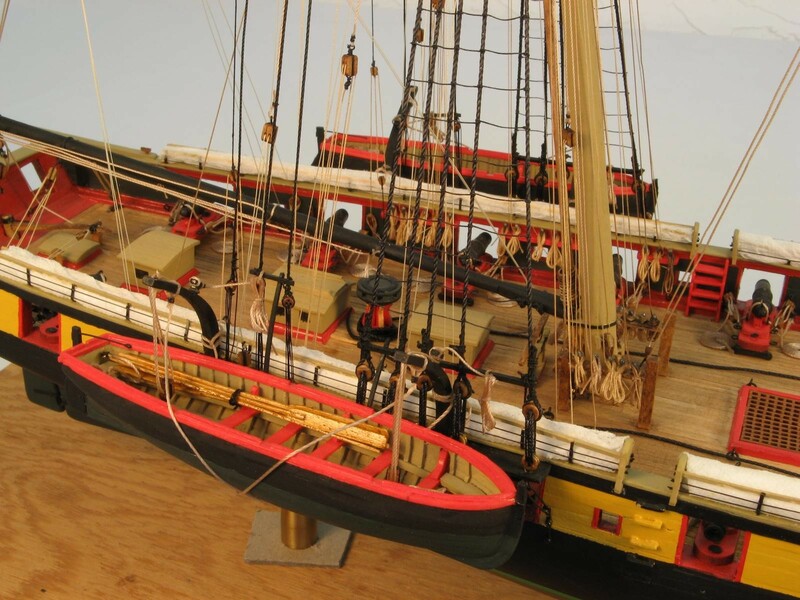 As a sometimes ship modeller myself, I can say well done to you for completing the project to such a high standard. It looks about the same size as the sloop HM Bomb Vessel Granado, which I think was 1/64. Hey Rob and thanks….sorry for the late reply. Yes this kit is also 1/64 scale. I’m with @davidathomas, words are not adequate. This is simply beautiful, Gary. Boy now that is a real model that takes true skill!!! What a masterpiece! 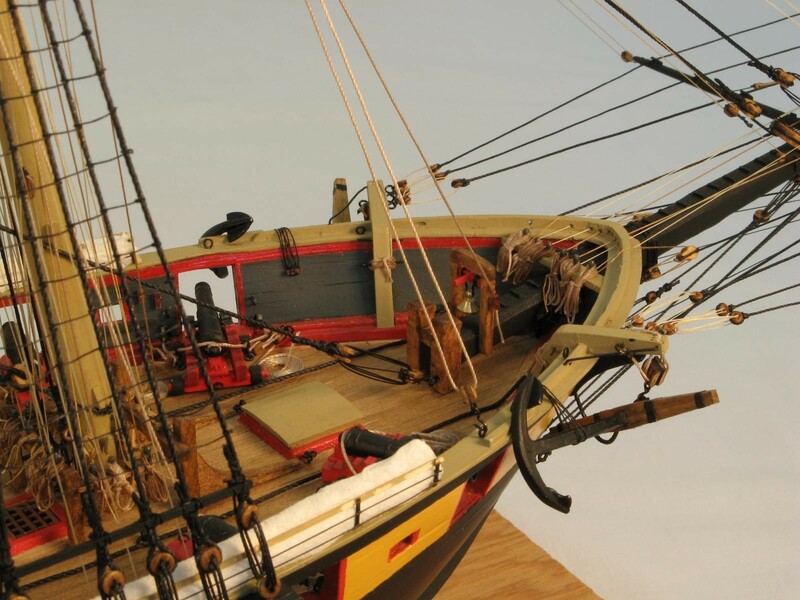 I had tried one wooden ship model and never finished it but it really tried my patience so I can really appreciate your build…wow! A real beauty! 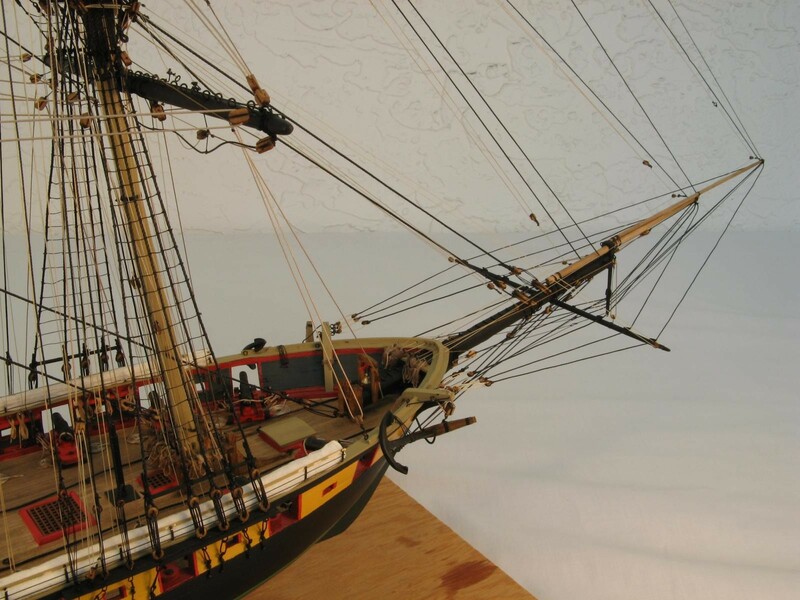 Wooden ship modeling is in a category by itself!! Thank you all for your kind words. This is the second of three wooden ships I’ve built. 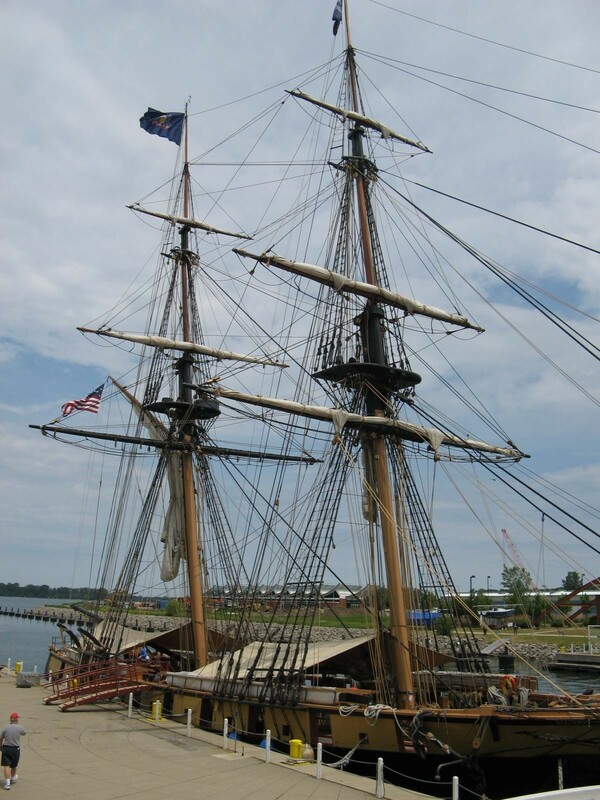 I just love the old sailing ships. And call me crazy but my favorite part is the rigging. The ships really take on a “personality” and come alive when the lines are added. Another reason I build one from time to time is to change things up from my normal builds. It gives me a fresh new perspective when I get back to the plastic and resin stuff. I hope to post another in the future. Thanks again all! 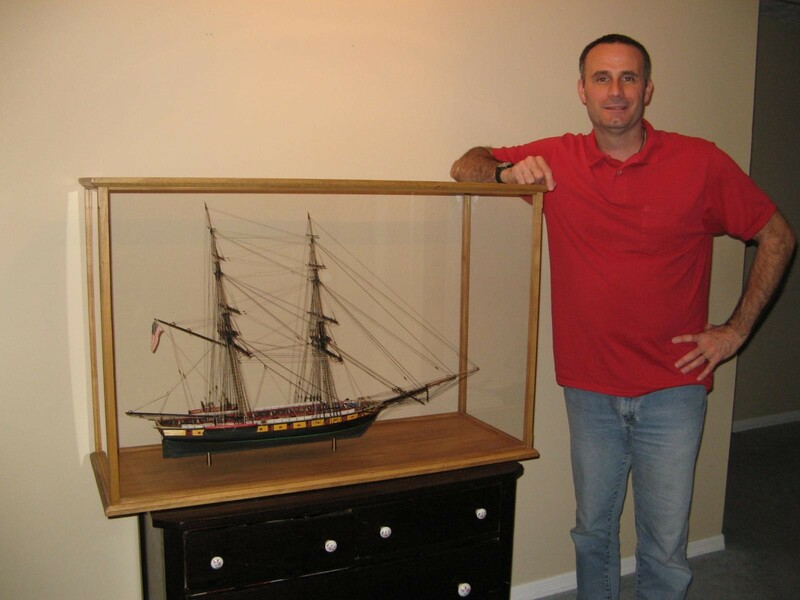 Excellent work Gary, I had a local member of the Cincinnati Maritime Modelers club complete a whaler called a Morgan for me last year. It was for an old Army buddy of mine who sent it to me thinking I may be able to do it. 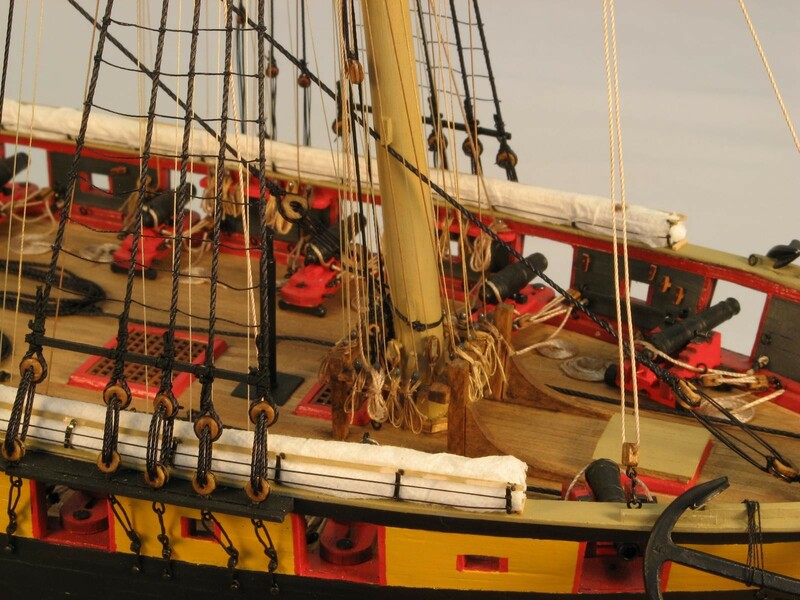 One look at the rigging involved and I said way too much detail for me. Man did an amazing job and my buddy just loved it. Anyone who does that sort of modeling has my utter respect. 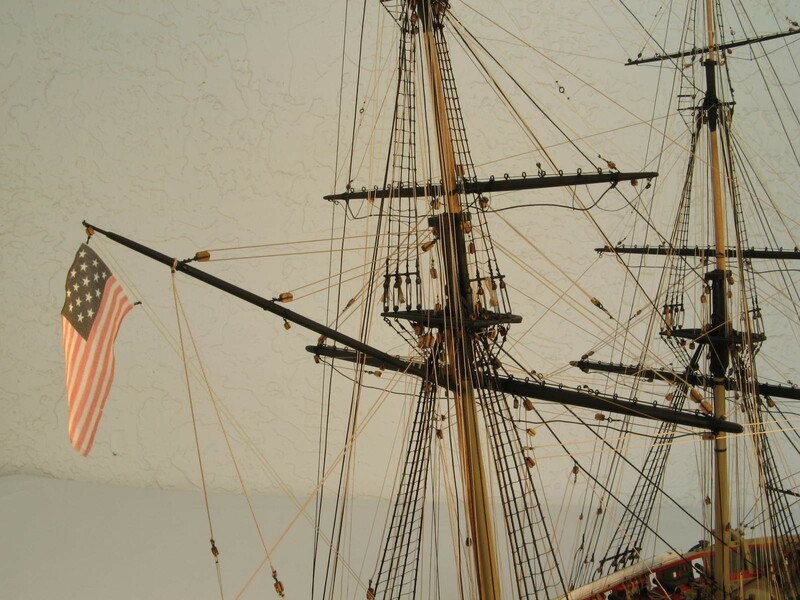 Nice job on the Brig Gary, really looks great.